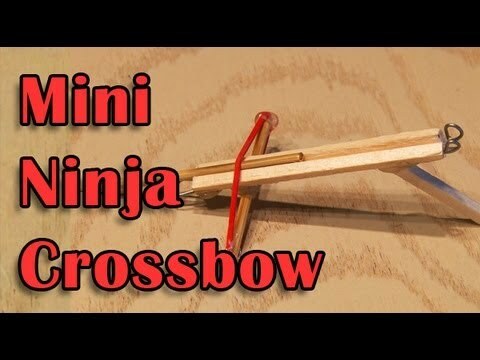 Make a mini crossbow out of household items! The darts shoot fast & straight! Thanks to blubbersmith for the idea. ← $1 Mousetrap Alarm! Bang! As Seen on TV – Money Saving Gadgets – TESTED! As Seen on TV – Time Saving Gadgets – TESTED! As Seen on TV – Fastest Breakfast Gadgets Showdown – TESTED! As Seen on TV – Security Gadgets TESTED! As Seen on TV Dangerous Toys? TESTED! Charge Your Cellphone with a Fan! How-to Spy on your Roommate! © 2019 - Kipkay Videos, LLC.